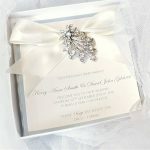 Rustic Coastal Shell wedding invitation. 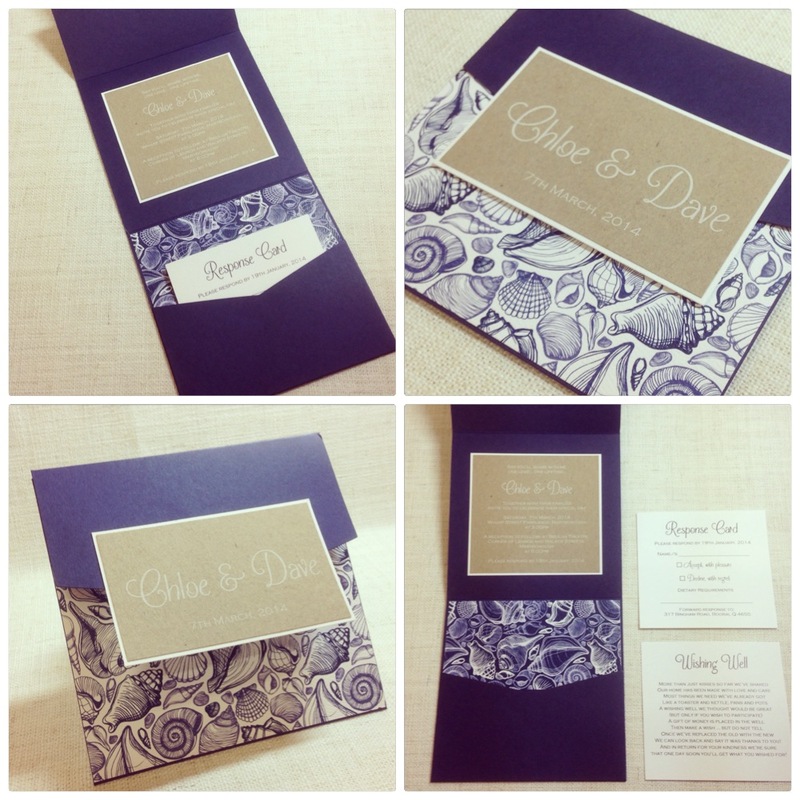 Invitation printed in white ink on kraft card with white backing card and attached to centre of navy blue pocket fold. 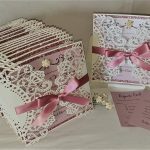 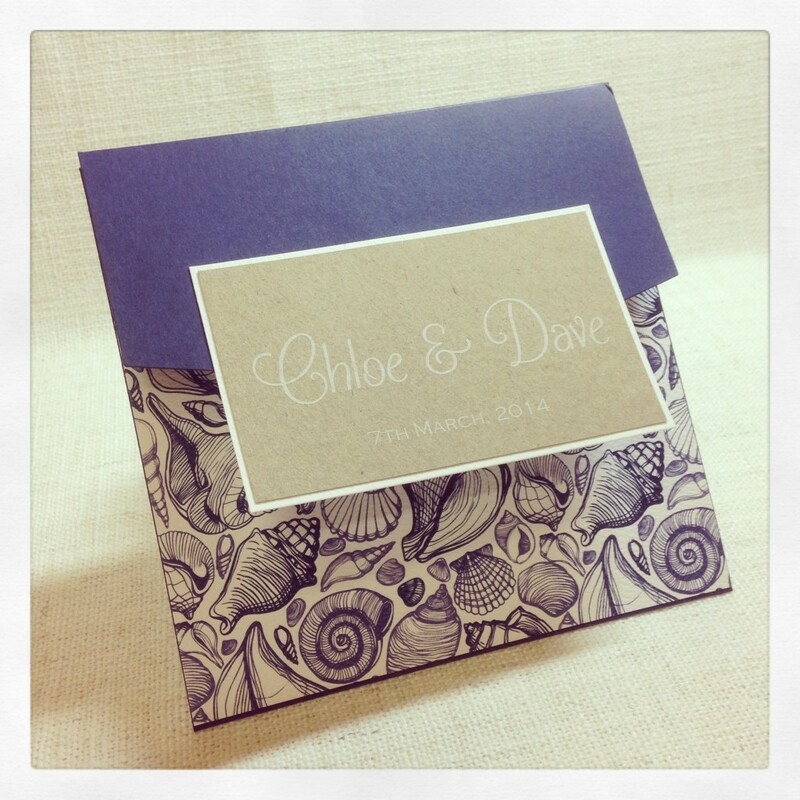 Insert cards slip into pocket lined with shell feature card in a tiered design. 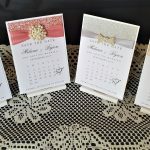 Front of the invitation features shell feature card, large plaque with white ink on kraft card, Bride and Groom names and wedding date. 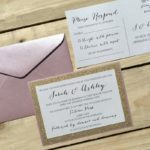 Personalised guest names on each invitation and addressed outer envelope.